The album itself is made up of (similarly) short, urgent tracks that overflow with Carey's amazing distorted leads and Del Conte's powerful, otherworldly voice. The title track opens Side One in dramatic fashion; the opening lyric "Today I feel like cryin', Today I feel like dyin'" delivered in a most convincing manner. It's obvious right away that you're listening to something very special. If there really is such a thing as psychedelic music, this is surely it. Del Conte and Carey, despite living roughly a thousand miles apart, continue to perform together and collaborated on a new album project in 1998. 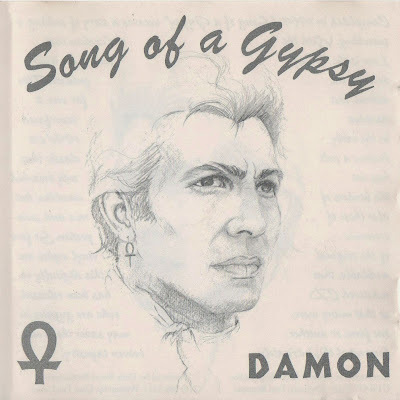 The resulting CD release, Gypsy Eyes has much to recommend it, not the least of which is the fact that it sounds like a second Damon album! The closing track, The Gift, is truly mindblowing, as good as anything on the first album.